Dr. Harry Franqui-Rivera is an Associate Professor of History at Bloomfield College, New Jersey. He served as Research Associate at the Center for Puerto Rican Studies at Hunter College, City University of New York (2012-2016) and is a Board Member at the Center for Latin American, Caribbean and Latino Studies, CUNY, Graduate Center. Dr. Franqui-Rivera is also a published author, public intellectual, cultural critic, blogger and NBC, Latino Rebels, and Huff Post contributor. He writes, blogs, and publishes in online magazines about current issues ranging from geopolitics, local and national politics and economics to social and cultural matters. His work has been featured in national and international media outlets and National Public Radio. He has recently published a short historical fiction novel on the experience of the “All Puerto Rican” 65th U.S. Army Infantry Regiment in Korea, and produced a short documentary on the Borinqueneers with the Center for Puerto Rican Studies. He earned a Ph.D. from the University of Massachusetts Amherst; a Masters degree in History from Temple University in military/diplomatic history and a B.A. from the University of Puerto Rico, Mayagüez. He also received a G.E.D. from the Departamento de Instruccción Pública de Puerto Rico. Dr. Franqui-Rivera specializes in Puerto Rican, Caribbean, Latino, Latin American and Military History and focuses on the 19-20 centuries. Among other interests, he addresses the issues of nation building, national identities, citizenship, military institutions and imperial-colonial relations. Dr. Franqui-Rivera also researches and writes on the experience of Puerto Ricans during the Korean War, the socio-economic impact of the G.I. Bill in Puerto Rico and among the diaspora, the condition of the Puerto Rican veteran and the linkages between military service, manhood, race and decolonization in Puerto Rican history. More recently, he has mapped state-side Puerto Rican military communities. 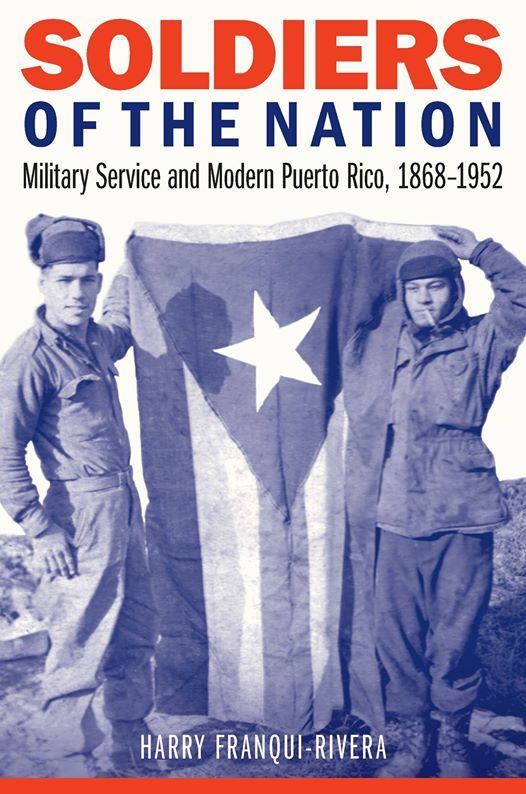 Franqui-Rivera, H. Soldiers of the Nation: Military Service and Modern Puerto Rico, 1868-1952. University of Nebraska Press. (Forthcoming). Franqui-Rivera, H. Fighting on Two Fronts: The Experience of the Puerto Rican Soldiers in the Korean War. Centro Press. (Forthcoming). “‘A New Day Has Dawned for Porto Rico’s Jíbaro’: Manhood, Race, Military Service and Self-Government during WWI” in Latino Studies, Palgrave, Vol. 13.2 (2015). National Mythologies: U.S. Citizenship for the People of Puerto Rico and Military Service” in Memorias: Revista Digital de Historia y Arqueología desde el Caribe, Universidad del Norte, Barranquilla Colombia, No.21 (2013). Military Service: Migration and a Path to Middle Class Status, in Edwin Meléndez and Carlos Vargas-Ramos, eds., The State of Puerto Ricans, Centro Press, New York, (2017). Puerto Rican Veterans and Service Members’ Wellbeing and Place within the Diaspora, in Edwin Meléndez and Carlos Vargas-Ramos, eds., Puerto Ricans at the Dawn of the New Millennium, (CENTRO Press), New York, (2014). "Why Puerto Ricans Did Not Receive U.S. Citizenship So They Could Fight in WWI", in Centro Voices, May 2017. "Too Many Of Puerto Rico’s Veterans Are Moving Away", by Harry Franqui-Rivera, May 28, 2017. “Santa Cló Goes to la Calle Sol #12 Oeste” in Centro Voices, December 23, 2017. “Puerto Rican Veterans Pay It Back” in Huffington Post Latino Voices, July 10, 2015. 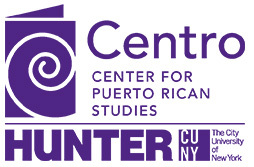 “Marching on: Military Service and the Social Conditions of Puerto Ricans in the U.S.” in Centro Voices, May 22, 2015. "Reflections of a Father: Raising my Kids Puerto Rican" in Centro Voices. "Boricuas Where?... En la luna" in Centro Voices. “Students Soldiers: Puerto Rican Youth in High School Military Programs.” Review of Gina M. Pérez, Citizen, Students, Soldier: Latina/o Youth, JROTC, and the American Dream, New York: New York University Press, 2015 in Centro Voices, (March, 2016). Military Service: Migration and a Path to Middle Class Status Online Brief, Center for Puerto Rican Studies, November, 2016. Alexander M. Bielakoswky, Ed. Ethnic and Racial Minorities in the U.S. Military: An Encyclopedia. ABC-CLIO, Santa Barbara, California, Oxford, England, in Centro Voices, (Spring, 2015). "Pride and Courage, A Borinqueneers Story: Prologue & Chapter 1" in Centro Voices, August 3rd, 2017. “Puerto Rican Voices: Season 3, Episode 7: Borinqueneers” Centro TV, November 2016. “The Borinqueneers: The Forgotten Heroes of a Forgotten War” in Centro Voices, April 15, 2016. “El Cabo Gómez and The Unexpected Homecoming of a Puerto Rican Soldier” in Centro Voices, May 13, 2015. “With Honor and Dignity: Restoring the Borinqueneers Historical Record” in Centro Voices, November 17, 2014. “The Borinqueneers on Parade” in Latino Rebels, June 11, 2014. “The Korean War” in Encyclopedia Latina: History Culture, Society, (Grolier Publishing), (2005). “The 65th U.S. Infantry Regiment” in Encyclopedia Latina: History Culture, Society, (Grolier Publishing), (2005).